You have cough or sore throat you take Septrin; having running stomach or going to a place whose food you aren't so sure of you take Flagyl; having slight or persistent headache you take Amoxicillin; you give your new born baby Ampiclox drops to "flush" all infections the baby could have gotten from you; Your doctor prescribes malaria drugs as well as antibiotics after he sent you for malaria test alone to which you tested positive. These among many others are the ways we abuse antibiotics in our part of the world. What makes matters so terrible is the ease with which we can source antibiotics in every drug shop around. It is not only wrong to self-prescribe antibiotics it also does not always help our case. Sometimes the cough or cold one is self-treating with antibiotics is actually caused by a virus, thus antibiotics would have no effect. Poultry and fish farmers also indiscriminately use antibiotics for varied reasons. Even our medical practitioners are guilty. They tend to prescribe antibiotics at almost every visit to the hospital; medical test or none. 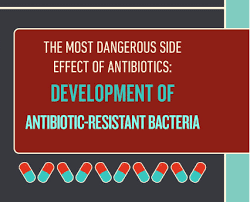 Our over-exposure to antibiotics has made microorganisms resistant to them. 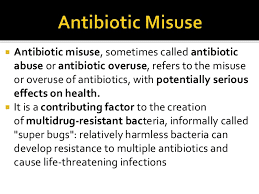 When you misuse antibiotics, some microorganisms toughen, learn to strive, thrive and multiply even in the presence of the antibiotics; then they can be said to be resistant to that antibiotic. Antibiotics resistance is the reason why drugs like Penicillin, Ampiclox and Tetracyclin hardly are effective these days. It is part of the reasons infections hardly get treated these days, often leading to both human and economic losses. Antibiotics resistance has been described as a pressing public health problem world over. There seems to be a prevalence of organisms resistant to the current antibiotics. Even the World Health Organization (WHO), said "we are gradually getting to a post-antibiotics era when minor infections and injuries will once again start to kill". It has also been estimated that "one in four deaths in Nigeria will be attributable to antibiotics resistance by 2050", and that "resistant microorganisms will kill more than cancer by 2050". For those who know what these imply, they are very scary. To worsen the already bad situation is the case of fake and substandard drugs in the market. We do not always need to take antibiotics. Solution: take antibiotics only when prescribed and as prescribed by a qualified and "informed" medical practitioner , do not share or transfer medications and do not take left-overs. 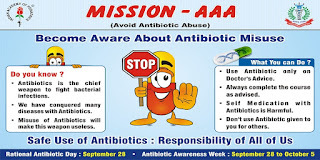 Health practitioners should avoid indiscriminate antibiotics prescriptions. Tests should be conducted and the actual cause of infection determined before antibiotics is prescribed. Nevertheless, your doctor can use his/her discretion to prescribe drugs pending when your test result is ready. Government and drug regulatory agencies should tighten the laws surrounding antibiotics prescription, availability and ease of purchase. One should not be able to walk into any drug shop and buy antibiotics without a doctor's prescription. We need to be aware of what we could be causing or exacerbating when we indiscriminately take antibiotics. Antibiotics save lives. Let us not allow its indiscriminate use lead to loss of lives. I dread the post-antibiotics era. I dread the Superbug. You should too. 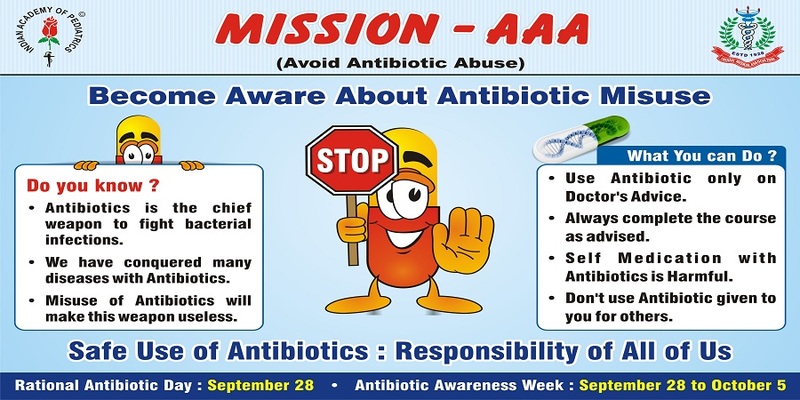 Therefore let us all say no to antibiotics abuse and all forms of drug abuse. Keep up the good work. Your blog offers great help and awareness.